I think this is a pretty good example of what I like to wear on a more casual day, still keeping it in line with my style. 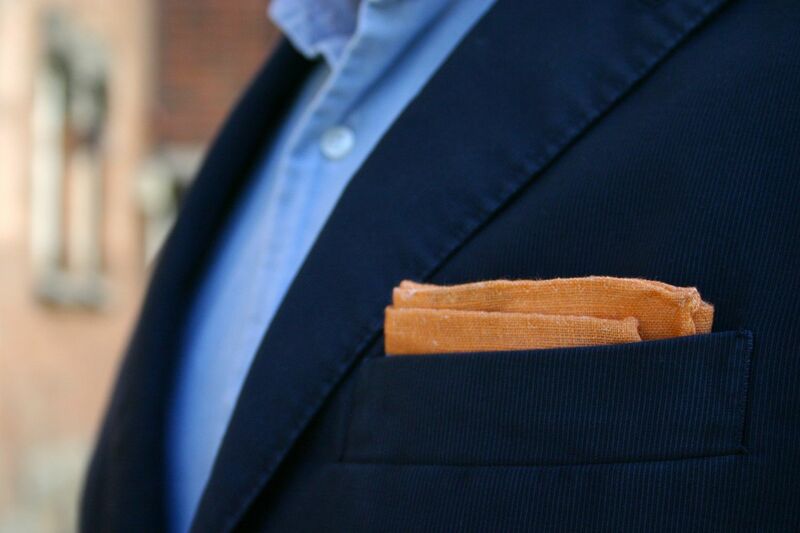 The differences are minor to a more conservative outfit (and I could very well wear this to work), but still there. 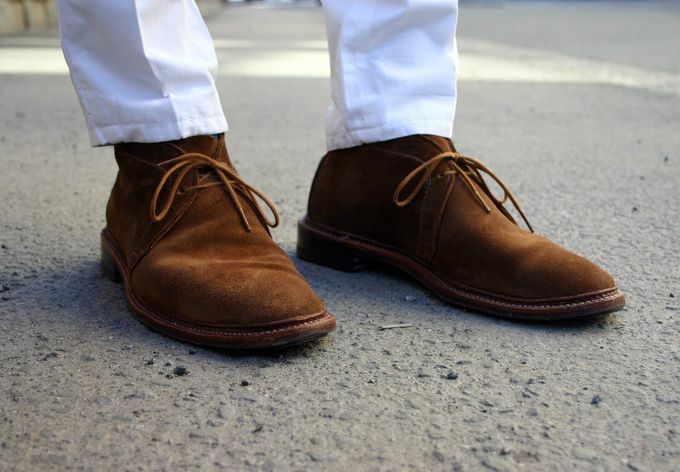 Dress shoes replaced with more casual unlined snuff suede chukka boots, shirt with a washed chambray shirt, belt with a braided leather belt and khaki chinos with white ones (could've gove with cargos as well). Tie left at home. 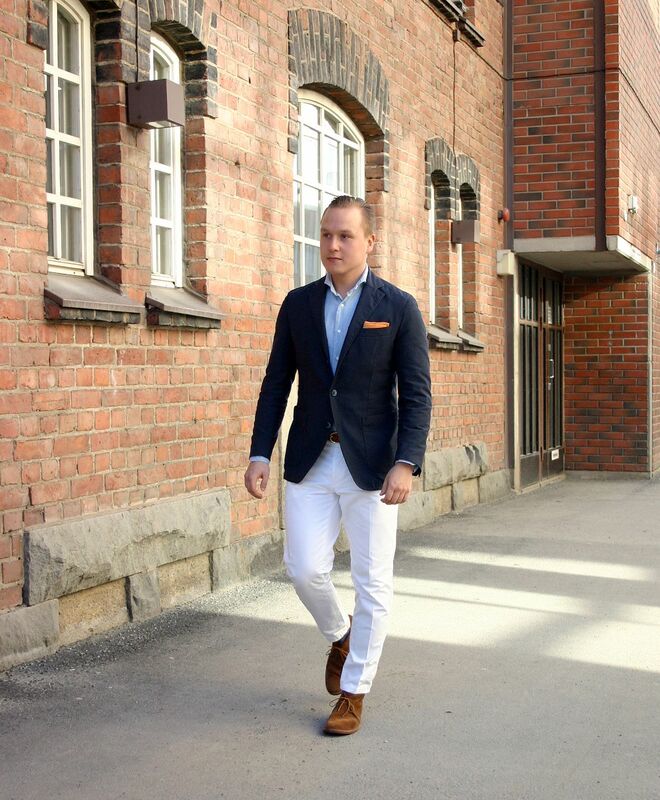 The result is quite fresh with the most striking component being the white trousers for sure. However, because everything else is still very simple and the adjustments towards casual are minor (small change in texture, material..) and in line with the other components, the result is coherent. Some small things you might only notice subconsciously, but they will still affect to the impression the whole look transfers to the viewer. So, the jacket here is from L.B.M. 1911, shirt from SuitSupply, pocket square and belt from Berg & Berg, chinos from a random manufacturer, socks from H&M, chukka boots from Alden. 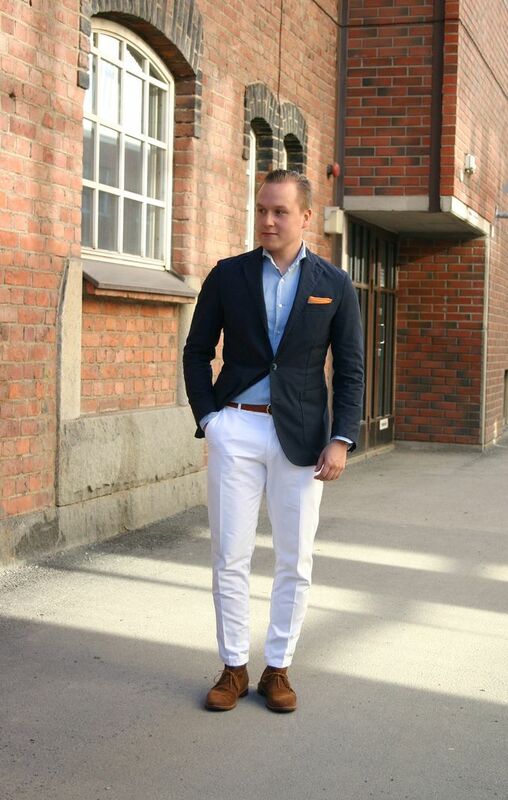 Light blue chambray is always a good choice for casual spring and summer looks. 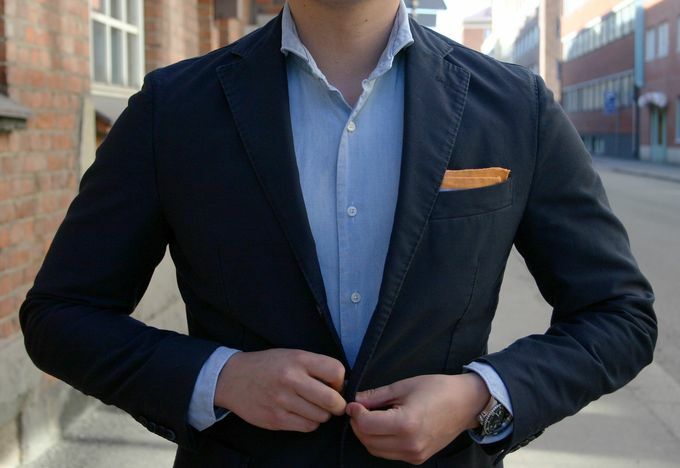 This shirt is from SuitSupply's SS12 collection. Now, I could've gone with a white or perhaps light blue cotton or linen pocket square in this case, but I wanted to have a touch of color so my new Berg & Berg sailboat square was chosen. I can't compliment these shoes enough, and the pictures speak for themselves. These chukkas are simply fantastic for summer with the unlined structure and the snuff suede giving them that great casual appeal.